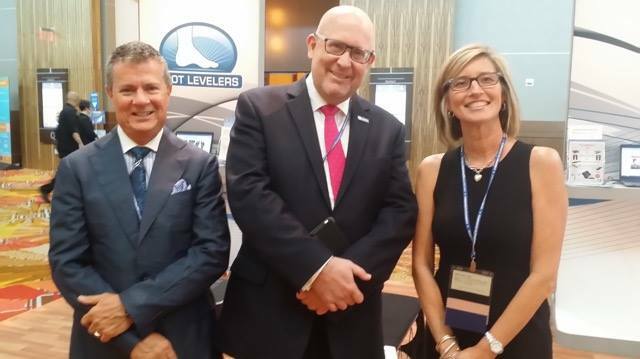 ROANOKE, VA—April 7, 2017—Foot Levelers, the world’s leading Chiropractic supplier and manufacturer of custom orthotics, has been named as the WFC’s (World Federation of Chiropractic) new Premier Corporate Partner. 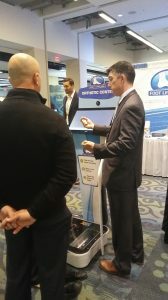 Foot Levelers made the announcement just prior to the WFC’s Assembly of Members, which was held March 13-14 in Washington D.C. As the exclusive Premier Corporate Partner of the WFC, Foot Levelers further extends its international presence and legendary support of the Chiropractic profession. About World Federation of Chiropractic (WFC): The WFC is a not-for-profit, non-governmental organization that represents the Chiropractic profession internationally. Its members are the national associations of 93 countries in seven world regions. Headquartered in Toronto, Canada, the WFC is a non-governmental organization in official relations with the World Health Organization. “WHYOTY” April: Enter to Win a Pair of Brooks Shoethotics® at Facebook.com/FootLevelers!